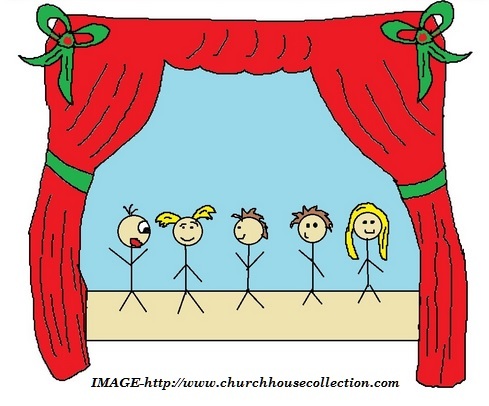 Is your class doing anything for the Christmas performance? I hesitated. My only students were Jason, Sam, Connor, Randy, Caleb, and Jack – all boys, all between 9 and 12 years of age. [i] My class was euphemistically called Social Learning, but whenever they thought I wasn’t within earshot the other students in the school called it “the crazy class”. Each of my boys had been withdrawn from the mainstream classes because of his behaviour. They had been tagged with various psychological labels. If you only looked at the surface of things, yes, their behaviour would make your hair curl and your jaw drop open. But there were some sad, sad stories behind this behaviour – and as these stories came to light little by little, they kept me awake many a night, praying and crying. Jason drew gruesome pictures and kept to himself mostly, but might become violent if you pressed him. Sam was very loud and unpredictable, and clowned around continually. Connor could go from acting goofy to sulky in ten seconds flat. Randy was extremely bright and could also be extremely stubborn. Caleb was cute and innocent looking, but if you cornered him, he’d come out swinging. And Jack, well Jack’s stories could rival any fisherman or frontiersman’s tall tales. I loved these boys, even though they were making my hair turn prematurely grey. It wasn’t because I didn’t have good help. The Lord had given me two of the most amazing teaching assistants that I’ve ever had the privilege of working with (the first time I ever had to teach without “Leslie” and “Amy” it felt like I’d had my arms chopped off). These ladies were like second mothers to the boys, and we were slowly making our class into a little family. Each day when our boys arrived on their special bus, we’d hug them as soon as they touched the sidewalk. They pretended not to like it, but we knew better. A fight would usually break out somewhere between the bus line up and entering the classroom door, even if we positioned ourselves strategically between them. Someone would make a remark about someone else’s mother, and it was all over. Jack especially knew just what to say to get someone else hot under the collar. He had a mouth like a sailor. For that first few weeks, a great morning was when we’d make it to recess without a chair flying at the chalkboard. Day after day, Leslie and Amy and I laboured to discipline them with love, but it was exhausting. I’d heard talk in the staff room about a Christmas concert. Some classes were going to sing or do a little performance for the parents. Why not? I thought. It will give us something they can work together on. But we didn’t have very long to pull it off. Just six voices singing a song might put too much pressure on them, I thought. Perhaps they can mime a pre-recorded story– then they won’t have to memorize any lines, either. I pulled out an old Christmas cassette I had with a story about a little self-sacrificing snowman. I decided to play the tape for the boys first, and see if it would spark any interest. I gathered the crew around the table, pitched the idea to them, and popped in the cassette. The story began to play, and for once they were all quiet and listened. Oh, no, I thought as I watched their faces, I’ve made a terrible mistake. They think it’s too babyish. I was already working on a “Plan B” in my head, but I thought I might as well let them finish the story. Click! The tape was over. Jack’s hand immediately shot up in the air. Uh, oh, I thought. Here it comes. But the words that came out of his mouth astounded me. “I wanna be Johnny!” he cried. He was genuinely excited! Then the other boys were all talking at once. I looked at Amy and Leslie and we smiled, relieved. Amy offered to build the set with the boys. Leslie said she would videotape it. We wrote the parts up on a chart and started to brainstorm all the jobs that needed to be done, and who would do them. They are going to have to depend on each other, was my first thought, and then I sent up a silent SOS prayer: Please help us, Lord! Day after day we practiced role playing along to the cassette. The boys took it very seriously, yet they still were not easy to manage. It was, however, the longest anything had held their interest up to this point. Randy brought in items from home we could use for props. Connor and Caleb made costumes out of paper, which they were very pleased with. Sam gave stage directions which Jason surprisingly obeyed. Amy designed an elaborate backdrop that all the boys had a part in creating. Leslie patiently coached each boy through his part, time and time again. As the day drew nearer, the boys’ excitement and nervousness grew. My prayers grew more fervent! What if they do mess up? What if we’ve put them in a situation that’s like a pressure cooker and somebody explodes? It doesn’t matter… the way they’ve worked together these weeks has been worth it. The day of the dress rehearsal arrived. We assembled our little crew in the gym, with our beautiful set. Leslie thought that it would be better if I was the narrator instead of playing the cassette tape. I took my place at the mike and paused a moment to look up at them assembled on the stage. They were all so serious! Everyone was at attention and absolutely ready. It went like clockwork. Wow, Jack can actually act, I thought. As a matter of fact, they all performed beautifully. I was the only one who flubbed, mixing up my lines. They sent up a cheer when they were done, and then leaped off the stage! Leslie and Amy and I were pleased, but still uneasy about the actual performance. On the big day, the entire school assembled in the gym, along with many parents. The boys were somewhat nervous, but not nearly as much as we thought they might be. I was facing the audience, narrating the play, and trusting that what was going on behind me was fine. It must have been, because I was watching the audience’s faces. The kindergarteners were entranced. The intermediates were paying attention. Their teachers looked incredulous. Then, I noticed one teacher who appeared to be fighting back tears. The applause was appreciative, the boys took a bow, and it was done. We didn’t get to bask in the afterglow for very long, though. One of our boys was upset that he hadn’t seen his mother in the audience. He attacked a kid on the playground, and then tried to hurt us when we were breaking it up. He had to be sent home from school. Leslie and Amy and I tried to encourage each other that the play had been a worthwhile thing to do, regardless of the way the day had ended. Then, a teacher showed up at our door. She was the one I had noticed in the audience. [i] While this story is based on actual events, the names have been changed. Click on comment(s) to read comments or to leave a comment. This entry was posted in Christianity, Education, Special Ed and tagged behaviour, Christmas play, drama, social learning, special education, teamwork. Bookmark the permalink. Thank you Tina for the best story I will read this Christmas. I remember it well! How proud I was of your class that year and their teacher for loving them enough to do this with them. Thank you for sharing this Tina. It brought tears to my eyes. God bless all those boys! I still think about them! That was about 15 years ago now, I think. What a blessing it was to have your prayer support and love through it all!